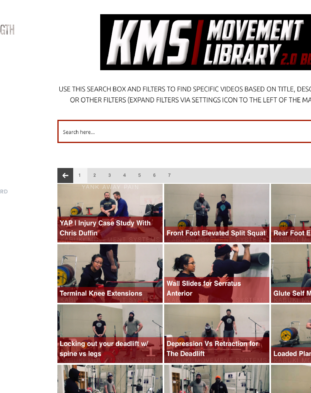 Login to access the KMS Library, Forums, and Coaching Dashboards. For just $10.99 per month (2 fancy coffees), you will have full access to all Kabuki.MS features including the library, forums, guided tutorials, and all future enhancements. Purchase a yearly subscription to save $20 per year! You will have full access to all Kabuki.MS features including the library, forums, guided tutorials, and all future enhancements. Just like in google search, our search functionality will instantly load results as you type. Easy access to hundreds of videos. Thumbnails of the video and it's title allow you to easily find the video you are looking for, or just browse around whatever catches your eye! Users can search for whatever word they would like and our system will find videos with that word in the title, category, and even description. 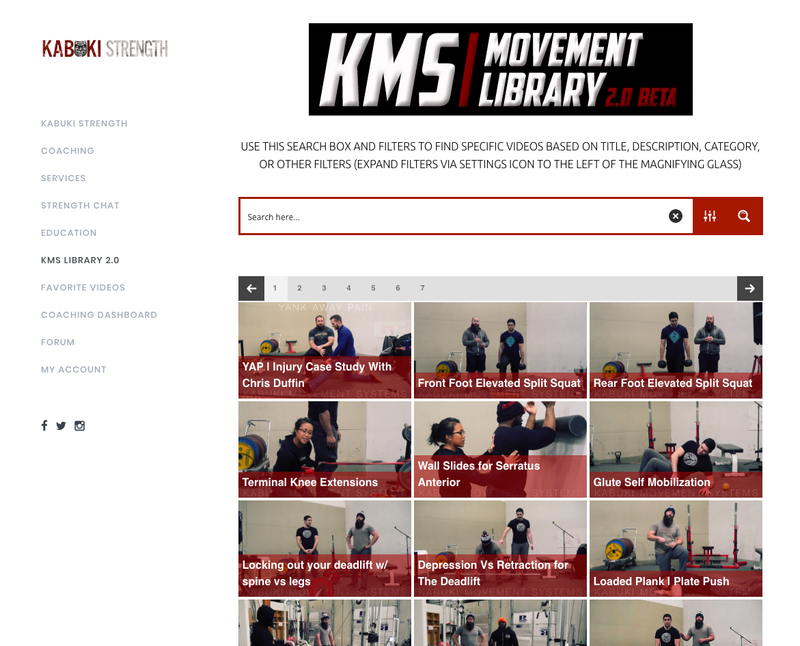 Get access to our forums where you can interact and discuss all things strength and training with our coaching staff and contributors. Easily save all your favorite videos into a list and always have them handy. More information about what you get with a KMS Library subscription. All video content is indexed under a simple taxonomy system, for easy access to anything you search for. There are close to 300 videos in the library, as well as guided tutorials and other content. You can choose from a $10.99 monthly subscription or $99.99 yearly subscription. This is less than the cost of 2 coffees per month!